This article is going to tell you a list of 9 best Indian news apps for Android phones & tablets. If you love to read news frequently, you must install any of these news apps on your Android phone or tablet to view news easily with just a single tap. In this article, we’ve listed only featured rich and useful news apps for Indian users. All of these Indian #news apps are available free of cost on the Google Play Store. 1. 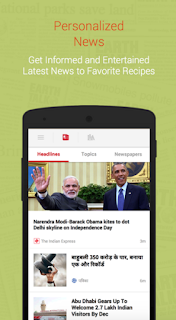 Daily Hunt – One of the most downloaded Indian news apps on the Google play store. Very useful Indian news app that covers all types of news from different media sources. With the help of Daily Hunt news app, you can also purchase eBooks to read them on your smartphones and tablets. Great news app that supports 15 Indian languages and lets you access news easily on your smartphones. 2. TOI – The Times Of India is the largest Indian news media house that runs multiple news papers, channels and news websites. This app shows you all types of news that you want to read. The app brings current trending news, local news, international news, tech news , entertainment news and many types of other news. 3. Aaj Tak – Aaj Tak is one of the most popular Indian news media channels which offers breaking news in Hindi. This app shows Aaj tak news on your smartphone and tablets. You can access all types of news through this app such as sports news, Bollywood news, entertainment news, political , regional and technology news. Great app for news lovers. 4. 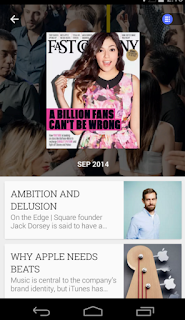 Google Play Newsstands – Stylish news app by Google that allows you to view all types of news easily from your android device. You can also subscribe premium news magazines, news papers through this app. Very useful app for news lovers. 5. 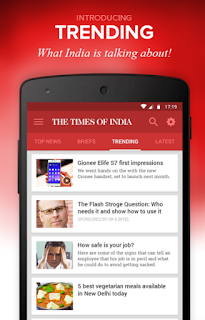 The Hindu News – One of the most respected Indian news media that offers an “easy to use” news app for Android device. 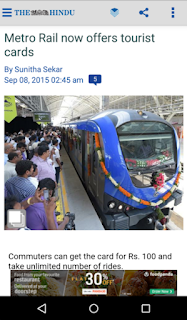 The Hindu News app provides latest news, top stories and all types of other news with in-depth analysis and opinion. You can also mark any news as a favourite news to read the news offline. 6. NDTV India – NDTV India is one of the oldest Indian news channels that also offers a great hindi news app for Android phones and tablets. This app helps you to read latest news and view video news quickly from your app. The app offers various news categories including entertainment news, sports news and breaking news. 7. 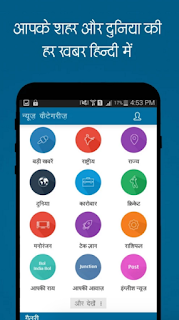 Dainik Jagran – If you are a regular reader of Dainik Jagran hindi news paper, you would love this app because this app offers all types of Hindi news with lots of useful features. This app helps you read almost all types of news such as breaking news, local news, sports news, Bollywood news, technology news, regional news etc. 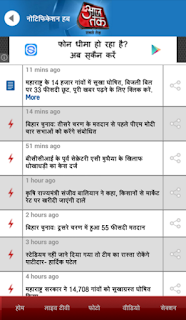 Great app to read hindi news from android phone. 8. Inshorts – One of the best news apps for Indian android users that helps you read news easily from your smartphones. This app summarise news in short paragraph so that you can read important news quickly. The app has very clean interface and lets you share your favourite news on social media sites. Very useful news app that lets you access all of your important news quickly from your app. 9. IndiaTV News – Great news app that loads very fast on your Android smartphones and tablets. This app runs smoothly on 2G & 3G network. 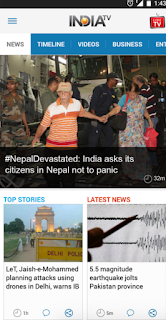 One of the best Indian news apps for Android device that comes with many useful features including live tv channel, breaking news & social sharing option. With the help of IndiaTV News app, you can access all types of news with just a single tap. This app offers breaking news, Bollywood news, sports , business, political and tech news.